“Without doubt the most beautiful mountain east of the Rockies” – Asa Gray, 1840, on Roan Mountain. I had intended an early start today since I had the luxury of indoor accommodations. I awoke at 6:30am and heard a hard rain on the roof, so I went back to sleep sans alarm. I didn’t awake until nearly 9:00am. The hike back up to the gap was long and strenuous as I anticipated it would be when I descended the same route yesterday afternoon. I reached the gap and finally resumed my hike on the trail at 10:00am. The first part of the hike I ascended Little Rock Knob. By the time I reached its summit, clouds had rolled in and obscured the views from just before the top at a rocky bluff. Nevertheless, I was quite pleased with bagging this peak, which I needed just a short side trip of a few yards to touch some high rocks. Having completed all the southeastern 6,000 footers and 5,000 footers, my interest in the “high” 4,000 feet peaks has grown. I’ve made a lot of brief side trips to 4,000 foot peaks on this hike because I may have interest in them all later on and relatively speaking, they are so close to my route, I can’t pass them up. But it is only the upper 4k peaks like Little Rock Knob among southeast peaks that excites me the most. This one has been on my list for a while. On Little Rock Knob, I caught up to Brooklyn and Stretcher, two guys I frequently hiked with and spent the night with more times than not ever since Rich Mountain Lookout a while back. I’ve gotten to know them and always enjoyed their company. They also are the only two other umbrella carriers I’ve encountered on the trail, and coincidentally it started to rain. We all donned our umbrells, this being my first true field test of it despite carrying it all the way from Georgia without previous purpose. As it turned out, I loved it. I was so close to sending it home but now I think it will come with me the rest of the way. Don’t knock the umbrella until you’ve tried it! Plenty of people doubt the umbrella, yet haven’t tried it. How it functions is by keeping your upper body dry. If you stay dry, you stay warm. Meanwhile, if you wear a rain coat, it keeps you dry from rain, but soaks you and your clothing from sweat. It keeps you warm, but makes you extra vulnerable to cold when you are stopped or the temperature drops. But if you keep mostly dry in the first place, problem solved with the umbrella. I wear shorts to the top half which also stays dry. My lower legs get a bit wet, but they dry quickly since they’re not clothes. So even in 40 degrees, I stay warm and dry in the rain in short sleeves and shorts. I went ahead of Brooklyn and Stretcher when we reached Hughes Gap. Here was the start of a monster climb to ascend the Roan massif. In the rain, the climb was slick and muddy. The umbrella helped to keep my spirits from sinking, as did putting on my mp3 player. As it turns out, I’d be willing to say the climb up Roan was the most difficult of the entire trail so far in terms of steepness. It reminded me of a climb in the Blacks, like the final pitch up Mitchell from Commissary Ridge or up Big Tom or Potato Hill going southbound on the Crest Trail. I handled the climb well, though it seemed like the top would never come. I emerged at the old Cloudland Hotel site. The fog was thick and the entire ridge line socked in with clouds. This made it easy to skip an intended side trip Roan High Bluff since there would be no views. I walked briefly off the trail to a field, once the location of a popular hotel and early 20th century resort destination. Built in 1885 and replacing a smaller hotel, the resort was the venture of General John T. Wilder. Named Cloudland, the moniker bespoke “excitement, surprise, a spirit of exploration, and a place where miracles happen”. Today, the name was literal – it was a land entirely engulfed in clouds. In fact the Roan is known for this as much as it is known for its beautiful landscape and views – it’s said that Roan is in the clouds over 75% of the time. This fact is why a fire tower built on the summit of Roan High Knob in the 1930’s didn’t last more than about 10 years since it could never get a view. 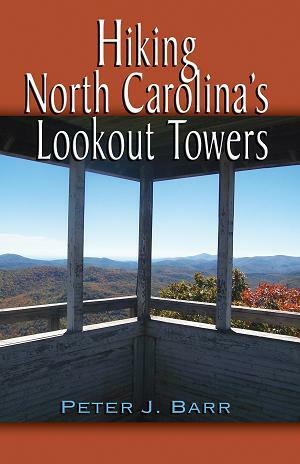 I’d soon pass the remaining concrete footings of this tower on my side trip to the top of Roan. The lookout and its actual date of construction and period of existence still remain a mystery to my tower research. The Cloudland Hotel was a 3 story structure and at 6,200 feet, was known during its existence as the highest human habitation east of the Rockies. It was popular with the wealthy tourists but also with the ill – especially hay fever suffers – who would come here seeking the healing power of the mystical mountain air. The hotel was said to have had over 100 rooms and only one bathroom. Built straddling the state line, alcohol was said to be legal to sell in only one of the states (which one eludes me), so a white line was drawn down the center of the dinning room table to differentiate where alcohol could be consumed and representing the state line. Even John Muir visited the Highlands of Roan and was a guest at Cloudland’s in the late 1800’s. The hotel was abandoned in 1910 and demolished about 5 years later when the Roan was logged extensively. But people kept coming to the Roans, as they always have. John Fraser visited the mountain in the late 1700’s and it was here that the botanist discovered Catawba rhododendron – a plant that now makes the peak famous when it blooms every summer. A survey team in 1799 was surveying the state line and included Tom Strother who wrote of the presence of the Roans famous balds even 200 year ago. And Doctor Elisha Mitchell came here in the mid-1800’s and claimed the Roan as “the most beautiful of all the high mountains”. That’s an impressive testament from a man whom had also explored Grandfather Mountain and the Black Mountains. I press on in the rain and fog and reached the side trail to Roan High Knob. I touched the summit rocks and took a self portrait, pleased I had reached the top of the whole Roan massif – a county high point of both Mitchell County NC and Cater County TN as well as a 2,000 foot prominence peak, a range high point, and the highest point in the Cherokee National Forest, to a densely covered area in a balsam forest. 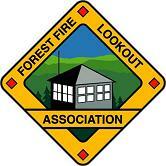 I dearly wished the fire tower still stood though I would not have received views even with its aid today. This would be my last 6,000 foot summit until I reach Mt. Washington in New Hampshire, well over 1,000 miles beyond. The small cabin that served as the living quarters for the tower watchman does still remain, however, and it was where I stopped to eat lunch and escape the cold rain. 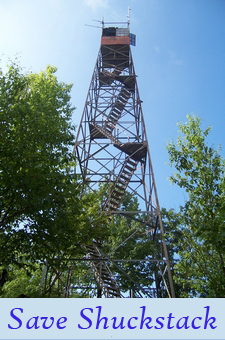 Erroneously but without exception described in guidebooks as a “fire warden’s “cabin, it was the fire tower keeper’s cabin – which is not really synonymous. The former presence of a lookout tower seemed ignored by the book writers and not at all odd for a house to be erected on a summit in the wilderness for the purpose of giving out burning permits. The completely enclosed, two story house is really neat, and as I shivered while eating lunch, I was heavily leaning towards staying here for the day and night. I was thinking of gambling that the weather would be clearer tomorrow to go over the near-by balds beyond Carvers Gap. I remember thinking that “it can’t be any worse”. The temperature read 31 degrees and it was 3pm. The prospect of pushing on in the rain was a depressing one, but my friends Brooklyn and Stretcher were hiking on as were Day Tripper and Thunder. Staying would also mean along tomorrow, and I had been looking forward to a short day and relaxing at the Mountain Harbour Hostel. Begrudgingly, I sucked it up and got hiking again – I was ultimately glad I did this and proud – as it wasn’t easy to do. If there was ever a time to be lazy, this would have been a great time. I descended Roan rapidly, as if somehow going fast would get me less wet. I reached Carvers Gap and took a side trip to get photos of the state line and gap signs, even in the rain. I had been here many times before, most recently last June when I joined three ultra-runner women on their final miles as they completed a South Bound 6,000 speed run. The weather was warm and sunny then and the rhododendrons were blooming. Today was dramatically different – conditions were miserable. It was here I confirmed my fears that my umbrella would not stand up to the wind on the balds, not even with crafty pointing it to adjust for gusts. The Roan Highlands are a special place. I am lucky to have experienced them several times prior since today I could not see their beauty. This would truly be the first section that I would be deprived of views for an extensive period of the whole hike. That is quite good luck considering this type of white out fog and ice water rain that is inevitable along these high ridges nearly every other day on average. Historical expert on the Roans, Jennifer Bauer, says the Roans “breed an air of optimism and possibility”. I had to try hard today to see the optimism! Roan comes with many legends and tails of mystical occurrences. This is said to be one of the only places in the world where you can see your shadow inside the clouds, as well as, the only place on earth you can witness a circular rainbow. I would have needed a hint of sun for each of these, and today the sun was nowhere to be found. And for centuries people have told tales of hearing mystical music on the mountain without practical or scientific explanation. Today my music was a deafening wind seemingly always in my ear. The trail was a miniature river, but already soaked I tramped through it. I side stepped briefly to touch the summit rocks of Round Bald and then raced over Jane Bald – named for a women who perished here from milk sickness while crossing the state divide – and Engine Gap. Soon I was at the side trail to Grassy Ridge Bald, and neglecting a visit to its summit today was an easy choice. Shortly thereafter, I passed a significant spot to me along the trail. Though nondescript in appearance, it was the location in December 2008 where Allison and I reached on a day hike. Our conversation had stalled and we were both quiet for some duration. Allison eventually broke the silence. She said: “I think you should thru-hike the Appalachian Trail”. It was a moment I would never forget. In that single instant, I had a strange visual flash forward where a hundred visual images were running through my mind like a slide show on fast forward. All at once I saw myself on Springer Mountain, myself on countless summits. I saw sunrises and sunsets, I saw new faces. I saw good times and I saw hard times. I could feel the exhilaration and I could feel fear and tears. The slide show came to an abrupt end, one that gave me goose bumps to my skin. I saw myself weathered and bearded, standing on Katahdin. I didn’t say anything back to Allison for a long period. I was deeply involved in this emotional side-consciousness. When we finally spoke and as our conversation went wild with how such an adventure would come to fruition, I realized how deep our relationship was, and how deep Allison’s love for me was. 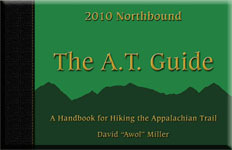 My burning desire to thru-hike the AT was something I never spoke about with her. I never could bring myself to suggesting I leave her for 5 months. As it turns out I didn’t need to. She knew my greatest dream anyway. She already knew how important hiking the Appalachian Trail was to me, and she knew I thought about it and dreamed about it every day of my life. Most significantly, she wanted me to live my dream, even if it meant sacrifices and a period of time apart. It was this spot where my thru-hike really began. Ever since that moment, I had been preparing for my hike, dreaming of it not whimsically but with a sense of reality. I will never forget my emotions at this spot. Today, even in the pouring rain and driving wind, I stopped and cried. I got out my phone and called Allison. I left her a message and I thanked her. I told her how much I loved her. I tried to let her know how much this spot and what she said to me here truly meant to me, and that I felt like she was right here with me again. Even this moment I saw in my mental slide show over a year ago, right down to the tears. After this spot, the trail ducks off of the balds and back into the forests. The wind became less of an obstacle as it was just prior on the balds blowing me off the trail itself. I moved quickly and completed the final miles to Overmountain Shelter. I took the side trail to the shelter after descending to Overmountain Gap, a very historically significant location to perhaps even the existence of the United States itself. 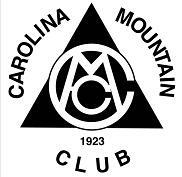 There, in October 1780, a militia of about 1,000 men from Tennessee – who would become known as the Overmountain Men – marched and crossed over the high state divide. They camped in this very gap before marching onward, gaining more men, and brutally defeating the British Colonel Patrick Ferguson at the Battle of Kings Mountain, what would be a turning point in the entire Revolutionary War and ultimately leading to the defeat of the British and American Independence. This gap was an important place indeed. Tonight I am in a shelter – a red barn converted for trail use well over 25 years ago – with what seems like a million people. There at least 30 people here – too many for my tastes. I am not sure how so many people ended up here together. Some are my friends – including Brooklyn and Stretcher, Yahtzee, Day Tripper, and Thunder – but many I would rather not be around. This is a cold shelter and it will be a very cold night. I’m glad I have my warm sleeping bag. I am excited about the Humps tomorrow, but fear this rainy, foggy weather will continue. Actually Jane was not the one to die of milk sickness on what became known as Jane Bald, rather it was her sister. I believe her sister had been ill with milk sickness, but seemed to be recovered, so Jane & she went to visit relatives on the other side of the mountain. On the return, her sister took ill again, so Jane ran for help. A farmer took his wagon and picked up her sister, but she was too far gone to recover. I don’t recall off handle where the article appeared, but it was an interview with one of Jane’s close relatives. I saved the article because I love the Roan and the history that surrounds it. I’ll see that you get it.